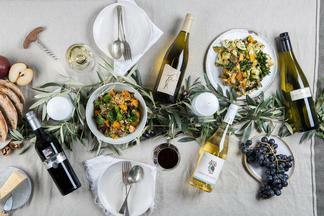 Premium wine sourced from 5 star rated wineries across Australia and the world, The Local Drop is delivering a selection of the best Red or White wines to your door each month. Once you become a member you have your very own personalised wine concierge on call - sourcing wine and answering any of your wine questions. 1) The best thing about The Local Drop apart from the wine (which is amazing) is the service. It's like visiting an old fashioned bottle shop that knows my palate better than I do. The Local Drop is my window to a world of great wine and old fashioned quality service from the friendly delivery to the call from my personal wine concierge. 2) A beautiful selection of wine available and delivered to your door. So convenient. 3) Best wines, best service. We love The Local Drop! 4)Great selection of local and imported wines at a really good price. Haven't needed to go to the local wine store for a month now. 5) That Fighting Gully Pinot was a cracker. Liquor Licensing Act / Responsible Service of Alcohol. LIQUOR ACT 2007: It is against the law to sell or supply alcohol to or to obtain alcohol on behalf of a person under the age of 18 years. You must be over 18 to buy this Gift product. isubscribe Wine gift packs containing alcohol are sold and provided by The Local Drop Pty Ltd (Liquor License Number: 36135861) both isubscribe pty ltd and The Local Drop Pty Ltd (ABN 41615516973) support the responsible service of alcohol. This is a top-shelf service. What&apos;s not to love about some of the best wines from Australia and around the world, tailored to your personal tastes, delivered to your door?!! For subscription boxes please allow up to 1-2 weeks for your first delivery.